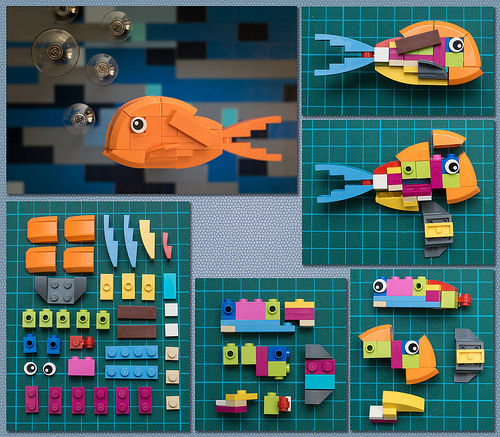 This amazingly cute little fish is a perfect showcase for how to exploit the natural shapes of LEGO bricks to form imaginative creatures. Builder gonkius uses two curved slopes meeting each other to form a perfect fish mouth, and a curved fender element suddenly looks as if it were always made to be fish fins. 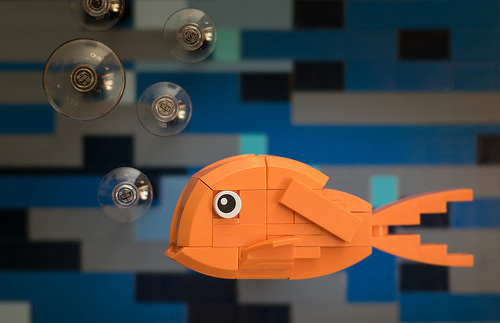 However, this adorable little fish is also a perfect example of complex engineering that looks deceptively simple. Think you’re pretty good with LEGO? Maybe you can even reverse engineer some of the builds we highlight. But how many parts does it take before a model is too complex? This fish has only 39 pieces. See if you can reverse engineer this guy using only the image above. We’ve got the instructions below if you want to skip straight to the solution and build one yourself! Let us know in the comments if you think you figured it out without the instructions. gonkius has used brightly colored pieces to make it easier to tell the elements apart in this breakdown, but you could build it using any colors you have in your collection.